Image shows finished structured water frequency memory unit that manufactures water holding the memory of certain programmed frequencies. 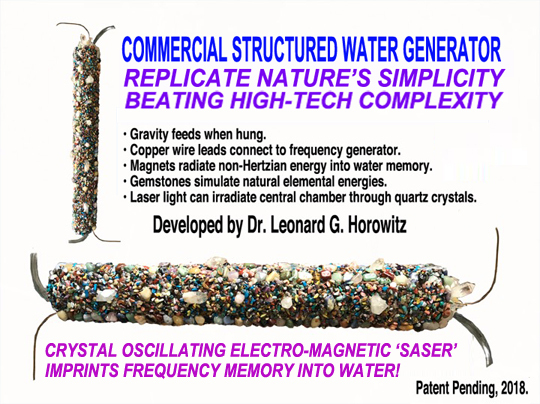 Below is shown 528Hz/nm energized water transforming the color of 528nm frequency using non-Hertzian orgone (crystal oscillating) pyramids generating phonons of sound and piezo-electric signals to the water. This machine that will produce large amounts of "designer structured water" for yourself, your family, and community, but also for lines and brands of natural health products. 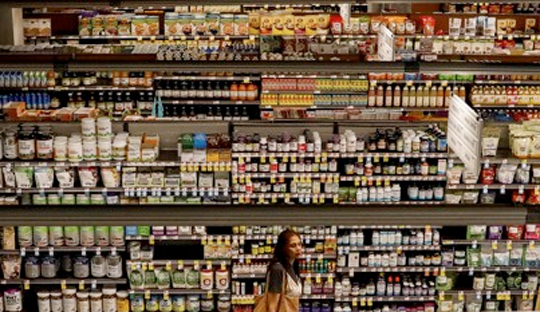 Entrepreneurs outreaching to health-conscious consumers will love this product and opportunity. 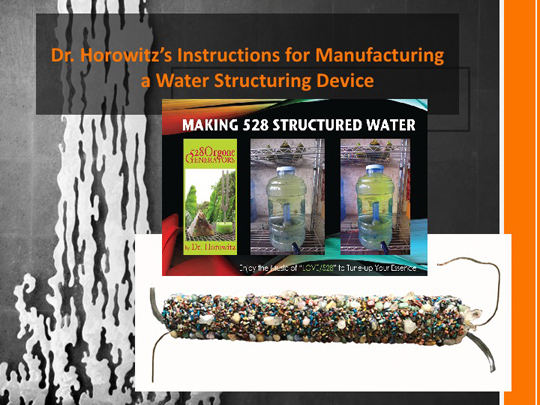 You can use this equipment to produce your own novel line of water-based frequency-resonating products for helping people heal themselves naturally, inexpensively, more rapidly, and drug free. This product is one of four (4) commercially-valuable types of equipment featured in Dr. Horowitz's 12-credit hour certified "Frequency Rehab Course" that you might want to take before or after you purchase this product. The total Course trains you to own and operate a virtual Frequency Rehab Franchise in your area. This product and training is great for natural caregivers and all health professionals. This cylindrical crystal oscillating equipment weighs about 10 pounds. It is a bit more than 2 feet tall, 5 inches wide, and 4.5 inches deep. It easily connects to any standard Rife frequency generator. By so doing, you will be able to develop 'designer structured water.' Select the best natural healing frequencies you want. Dr. Horowitz recommends 528Hz/nm. But you can use other precise frequencies to resonate and encode into your water. Manufacture as much structured water as you like for commercial operations. This unit is designed to mimic nature, and the natural production of micro-clustered water using gravity flow of the water through a special electro-magentic vortex system. 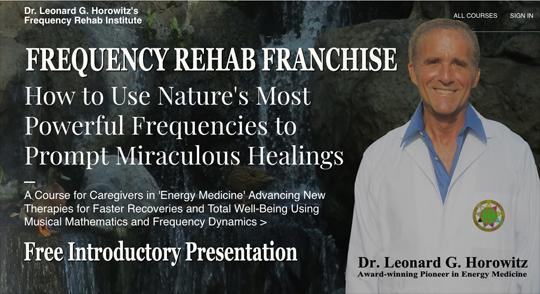 Dr. Horowitz's Course on 'Frequency Rehab' shares much knowledge in this fascinating and rapidly-emerging 'Hydro-energy Medicine' field. You can use this equipment to make homeopathic solutions, water based lotions, creams, energy drinks, herbal elixirs, and more. This powerful structured-water equipment lends substantial value to forward-thinking, entrepreneurial, health professionals, and owners of spas and gyms wherein you can bottle and sell this water for premium prices. Start your own brand of healing products using this equipment. Order your Frequency Resonance Water Structuring Unit today! Click the button below to add the Frequency Resonance Water Structuring Unit to your wish list.